From INVASION onwards, my publisher decided to design the covers using the latest computer generated imaging techniques, bringing what I think is a very contemporary – yet still historical – look to the books. But how many authors have the great privilege of seeing the ships in their books portrayed across the whole spectrum of model making? 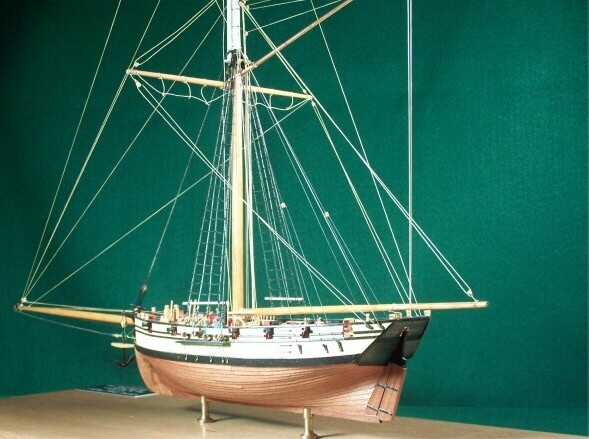 There have been representations of the Kydd ships as physical models ranging from 1:1200 to 1:64 in scale, half models, and even a virtual L’Aurore, a computer-generated image! In future posts I’ll feature individual modellers.